Dental insurance benefits expire at the end of each benefit year. You and/or your employer have paid for these benefits, so you certainly want to use them fully. The same goes for Flexible Spending or Health Savings accounts. This is the time to make a plan to use up your remaining benefits. As some people say, "Use it or lose it!" Start by checking the balances left on your dental insurance benefits, and FSA and HSA accounts. This can be easily done online, or by phone, using the contact information on your ID cards. If you need help with this, call our office and we will help you. Also, check when your benefit year ends. For most people, it is Dec. 31, but for some plans the benefit year ends at different times. Most plans cover two cleanings/exam per year. If you haven't had two this year, schedule now to get one in before year-end. If you have dental work planned where the treatment plan involves multiple procedures, a common and effective strategy is to schedule the procedures to be done in December and January, so that you can apply two years of dental benefits. If you have paid your deductible this year and have dental work coming up, schedule it to be done before year-end. When the new year starts, you will have to pay a new deductible. Smiling is one of the easiest and quickest things someone can do to not only make themselves feel better, but to also make others feel better. Even when we fake a smile, our body releases the "happy" hormones serotonin and dopamine, which instantly lift our mood. 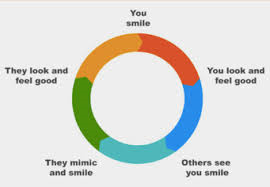 Another one of the greatest things about smiles is that they are contagious, meaning it's likely that if you smile at someone, they're more likely to smile at another person. Yes, you will often hear our hygienists Ally and Fariba recommend a Sonicare toothbrush on one of your visits. It is one component of Dr. Glenn's five points system to a cavity free visit. The saying goes its "NOT JUST CLEAN , ITS SONICARE CLEAN "
The unique sonic sweeping motion is carefully calibrated to create gentle microbubbles that reach deep between teeth, for a sensational clean feeling. The strokes move at 31,000 per minute . In addition, a pressure sensor alerts you if your grip has to much pressure on your gums. The Location sensor will track missed spots for better coverage, and the scrubbing sensor helps improve your brushing technique. Time after time we see patients return with significant positive changes in their oral hygiene management. We agree, Sonicare is the No 1 recommended sonic toothbrush brand by dental professionals world wide. Is dark chocolate bad for you teeth? If you are wondering whether chocolate is bad for your teeth, or if consuming too much of it may exacerbate any existing dental conditions that you may have, such as weakened enamel or cavites, we have some interesting facts. Dark chocolate is by far the best choice for chocolate when it comes to keeping your teeth healthy and cavity free. There are some studies that even suggest that dark chocolate can be a cavity fighter. Chocolate is made up of over 300 compounds and is a highly complex substance. Dark chocolate contains polyphenols. These chemicals can help fight the overgrowth of bacteria and other organisms in the mouth. They can neutralize organisms that cause bad breath and can prevent some sugars from turning into acid. Dark chocolate contains flavonoids and antioxidants. Flavonoids have been shown to slow tooth decay and antioxidants are beneficial to overall health in many ways but when it comes to oral health, having higher levels of antioxidants in your saliva has been shown to help fight gum disease. So go ahead and indulge but just remember as with most things, moderation is the key.